See the Results – Keep the Box! Simple. We have so many professionals requesting to trial Five Minute Boxes. They’ve heard about the success thousands of schools experience from these early interventions for English and Maths. “We just need to convince the budget-holder”, so many teachers tell us. The best way to prove the effectiveness of any intervention is to see the results with children in your setting. That’s why we’re offering a FREE 28 day trial. Returns cannot be accepted after 28 days without us being notified within this period. We kindly ask for payment as soon as possible after the 28 days’ trial period has elapsed. If you need to discuss anything please email info@fiveminutebox.co.uk or call 01442 878629 and we will do our best to assist you. Feel free to explore and use the Five Minute Box and The Number Box resources FREE for 28 school days. They involve no preparation, short burst interventions, and everything you need is in the Box. Most importantly you will see how much children love using the Boxes, take ownership of their learning, and make excellent progress in key English and Maths skills. 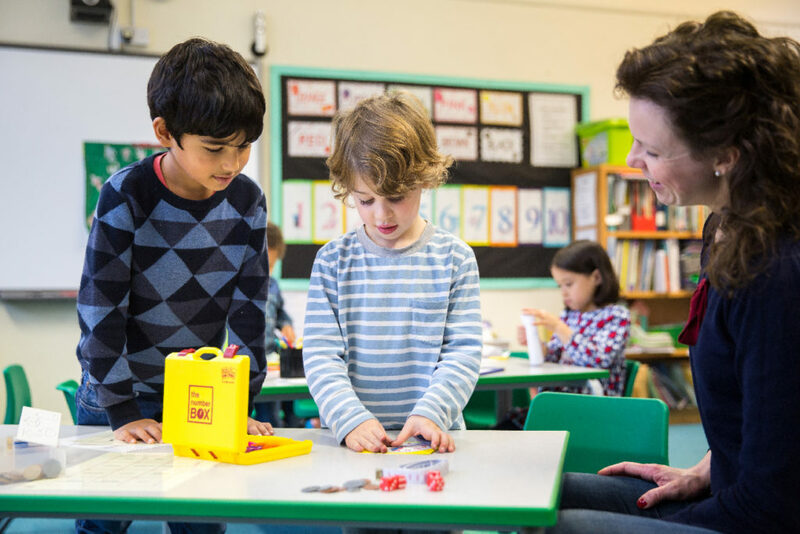 If you need to include those children who are not keeping up with the pace of classroom learning, and are at risk of losing self-esteem as a result: Five Minute Box and The Number Box will help them reach their potential. The interventions are also an early screening tool for potential dyslexia, dyscalculia, and general learning difficulties, as well as ensuring early intervention before children have a chance to fail in English and Maths. Progress is easy to monitor using Record of Achievement, which evidences the progress children make in different skill areas. The interventions use evidence-based multisensory teaching methods known to support children with dyslexia and dyscalculia. They work well with all children, particularly those with English as an Additional Language, summer born children, those with poor school attendance, Language, Interaction and Communication Needs, attention difficulties, and emotional-behavioural difficulties.